This is a bit exaggerated, but I’m not sure that anybody is actually interested in learning anything anymore. We live in a political and religious playground filled with thumbs in ears and shouts of “nah nah nah nah, I can’t hear you.” Most people are guilty of this. You are likely guilty of this. Of course the extreme examples are the “safe spaces” on college campuses and the slanderous biased media reporting. But there is also the simple thing that you do everyday: you don’t listen. Nobody listens. If you heard me, you know this is true. Rather than listen, what do you (and everyone else) do when someone else is talking? You’re thinking about what to say next. This is true of conversations of agreement and disagreement. As a pastor and a teacher, I’m routinely amazed and frustrated by the inability of one to actually hear what I’m saying, be it a friend or a foe. Stop doing this. Listen. You don’t really know as much as you think you do, and you don’t actually know the position one holds until you hear it from them. Develop the discipline to hear, really hear what someone is saying. It is respectful, and it is prudent for only in actually understanding a position can you engage it. Understand that when you stop listening you do so because you have assumed something, and living in a land of assumptions is dangerous. You have either assumed that you perfectly understand the position being talked about or that you perfectly understand the way someone holds the position. Both are likely not to be true. And this is quite arrogant. This kind of arrogance is the luxury of the expert, not the student. And I suppose that is the problem. Everyone today thinks they are an expert. But the true expert only became such because of their ability to be a true student. True students understand the value of listening. Arrogant, simple minded folk think they are always to be the teacher. You know, that guy you sat next to in college. The one who thought he should be teaching the class and took every chance to do so. You know, Frank, who now works at Chili's. That's who I'm talking about. But I digress. What is needed in this highly charged political atmosphere is a bit of humility, humility expressed in the form of listening with the goal of understanding. Persuasion is still needed, but let persuasion come after understanding. If all commit to this, we will have truly safe spaces. They won’t be safe because of the absence of opposing viewpoints, but safe because of the presence of humility and respect and true learners. A world that freely discusses important issues and listens is a world where progress is possible and freedom reigns. Those of you who seek defend the truth of the gospel will become a much better apologist if you learn how to listen. You will continue to grow in knowledge as you will learn how and why people hold their beliefs, not just what their beliefs are. People do not hold beliefs as nice and neat as your textbook. So embrace the mindset of a student and listen as much as you speak, and you will become more effective making the case for our reasonable faith. Read "4 Ways to Become a Better Listener and a Better Apologist." 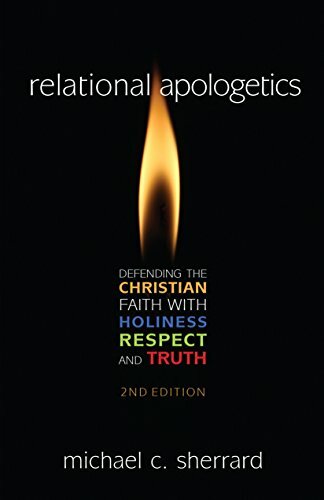 Michael C. Sherrard is a pastor, the director of Ratio Christi College Prep, and the author of Relational Apologetics. Booking info and such can be found here.